International studies professor Nivien Saleh, author of Third World Citizens and the Information Technology Revolution, outlines the gantlet of challenges the prospective new president of Egypt will face in ruling a country emerging from a popular revolution. Egypt’s presidential elections process opened on March 10. Within two days, more than 300 citizens had picked up the paperwork to declare themself a candidate. By March 14, the number had climbed to 500, and by March 28, it approached a thousand. Stringent registration requirements have limited the circle of genuine contenders to about a dozen. Still, it appears many Egyptians feel able to serve as president, and underestimate the truly daunting challenges the position faces. Such as, it’s unclear what the president’s role will be. 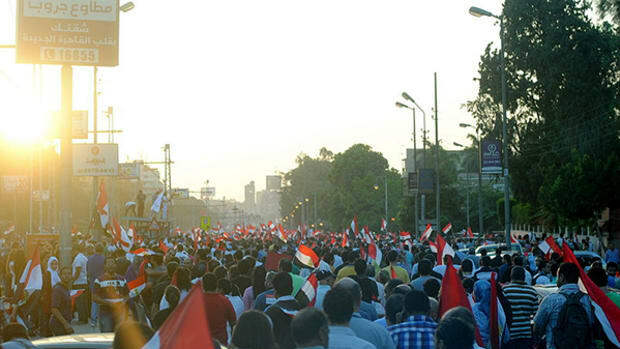 In March 2011 Egyptians, by popular referendum, amended their 40-year-old constitution. The resulting constitutional declaration accomplished two important things: It asked the parliament and consultative assembly, Egypt’s two legislative chambers, to form a convention to draft a new constitution. It also arranged for presidential elections. Importantly, it did not specify which would come first. In keeping with the declaration, the nation spent from November 2011 to January 2012 electing a new parliament, January and February of this year electing a consultative assembly. Both bodies, though, have been unsuccessful, so far in creating a constitutional convention that represents the nation’s most important social forces. This failure of the two legislative chambers gives the president the chance to insert himself into the constitution-writing process, raising the possibility that he will overpower it. Here is why: The members of the constitutional convention reflect the popular will only indirectly since they are selected by the parliament and consultative assembly. The president, in contrast, having been elected by the entire nation, represents the popular will directly. His democratic legitimacy exceeds that of the constitutional convention, or of any individual legislator. Moreover, Article 59 of the constitutional declaration gives the president the power to dissolve parliament, without specifying under what conditions he can do so. If the president chooses to use this power while the convention is in the drafting process, the convention’s legitimacy, which is tied to that of the parliament, will be seriously undermined. The president’s input into the new constitution will have far-reaching consequences for Egypt’s separation of powers, how Egypt’s two main religions—the Sunni Muslim majority and the Coptic Christian minority—color the country’s institutional make-up, and the faith that citizens place in the political system. Only once the constitutional process is completed can the president determine what, and how much of it, he wants do in substantive terms. He will face at least four dilemmas that require both charisma and a high level of political skill. Appealing to Egyptian nationalism vs. pleasing the generals: Although the subject of Israel has not dominated the nation’s political debate, Egyptians are almost evenly split in their view on the 1979 peace treaty with Israel, with 48 percent of adults thinking that the treaty is good and 42 percent bad for Egypt. Egyptians are very critical of their eastern neighbor for what they believe to be its systematic racism towards the Palestinians. That attitude has manifested itself in numerous ways. Since the revolution, saboteurs have launched 14 attacks on the gas pipeline between Egypt and Israel. On March 12, after the Netanyahu government launched air strikes against Gaza, parliament unanimously demanded that the Israeli ambassador be expelled and gas exports to Israel stopped. Since then, several lead presidential candidates—Hamdeen Sabbahi, Amr Moussa, and Abdel Moneim Aboul Foutouh—have promised that if elected, they will revise the 1979 peace treaty. The next president will have to define Egypt’s relationship with Israel. Depending on who wins, this may mean choosing between the nationalist election promise and keeping the U.S. government – Israel’s ally – happy. Egyptian independence from the U.S. would please many citizens, but any president asserting such action would run afoul of the country’s generals (who, as compensation for the Camp David peace accords, receive $1.3 billion in military aid annually). 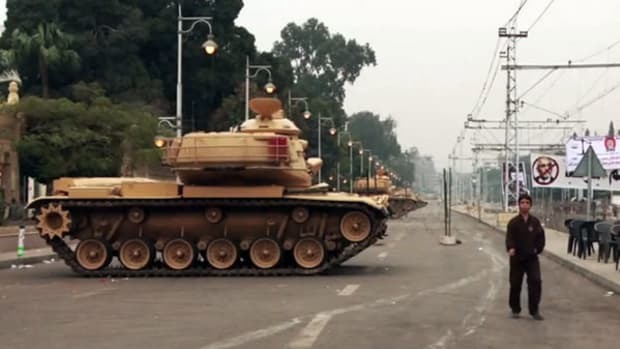 Egypt’s president depends on the armed forces for domestic stability, especially in the Sinai, which in recent months has seen kidnappings, border skirmishes, explosions, and a siege on UN peacekeepers. It is unlikely that the next president will jeopardize the annual U.S. funds. Meeting citizen demands vs. appeasing international creditors: The country faces great economic difficulties. Not only is youth unemployment high, but Egypt’s year-on-year inflation of almost 10 percent is pinching the middle and lower classes, especially the about 16 million Egyptians who live below the poverty line. Fuel shortages have led to riots, and the agricultural sector has been struggling with a devastating outbreak of foot-and-mouth disease. After the 2011 uprising, the tourism sector went into decline, and the country’s foreign reserves have dwindled, forcing the Egyptian government to negotiate an IMF loan. These negotiations have floundered thus far over opposition from parliament. Traditionally, the IMF has made such loans conditional on austerity measures such as subsidy cuts. These would squeeze Egyptians even further. Eliminating corruption vs. securing the loyalty of state employees: A central demand of the revolution has been the elimination of corruption. Corruption is endemic to the nation’s bureaucracy: At the highest level, ministers used to sell regime loyalists land below market value, help friends of the Mubarak family acquire state-owned factories cheaply, or use state employees as private servants. At lower levels, teachers are known for pressing students to purchase private lessons in order to pass exams, and traffic police for extracting bribes in return for not fining drivers. With the revolution, formal corruption complaints from citizens have skyrocketed, and both the legislature and the executive have a clear mandate to end the scourge. But at the same time the president depends on the bureaucracy for carrying out his policies. He cannot afford to turn the majority of state employees against him. Engaging the contradictory visions of liberals and Islamists: Cairo, the hub of Egyptian political activity, has over the last year seen one sit-in or rally after the other, and the protesters do not always want the same thing. The main division is between the Islamists who want to subordinate the political system to Islamic law (even though they do not agree on what exactly that means), and the smaller but equally vocal group of liberals, Christians, and women&apos;s rights advocates, who want to subordinate religion to a civil state. The president will have to bring both these forces on his side, as contradictory as their agendas are. If he fails to do so, if rallies continue and sometimes turn into violent confrontations, civilian authorities will be weakened and the generals strengthened, supporting Egypt’s return to an era in which, to use Steven Cook’s words, the military ruled even though it did not govern. Altogether, Egypt’s first post-revolutionary president has his work cut out for him. The dilemmas that the president will face are more difficult to manage than the divisions President Mubarak dealt with. With a constitution in the making, the various political forces know that much is up for negotiation. To be successful, the president will need not only charisma, but also great skill for exploiting information imbalances and gauging room for compromise. He must also be adept at striking backroom bargains while instilling patience in the population and inspiring it with hope for the future. This is not a job for the faint-hearted. 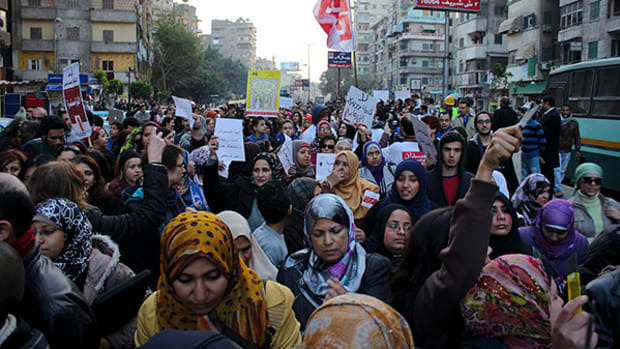 In an open letter to the organizers of Egypt’s uprising, international studies professor (and ethnic Egyptian) Nivien Saleh suggests a tool for crafting real democracy. The New Egypt: A Return to Dictatorship? Analysis: The military strongmen who oversaw Egypt's political hierarchy for six decades hover ominously over the nation's new democracy. Nivien Saleh argues the U.S. has the power to pry the generals' fingers off the levers of power. U.S. Aid to Egypt: Where Does the Money Go—and Who Decides How It's Spent? Should the World Cut Off Egypt's Foreign Aid? Maybe not, says the World Bank's former head number cruncher. The director of Project on Information Technology and Political Islam argues both the dangers of overemphasizing and ignoring the role of digital media in political change in Egypt and Tunisia. If we had a solid way to predict war, maybe they could be stopped before they even started. Academe is working on making its models better at the task.